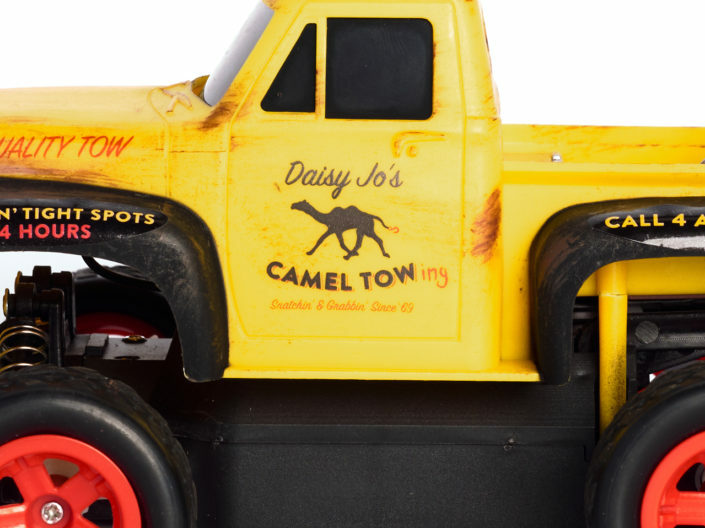 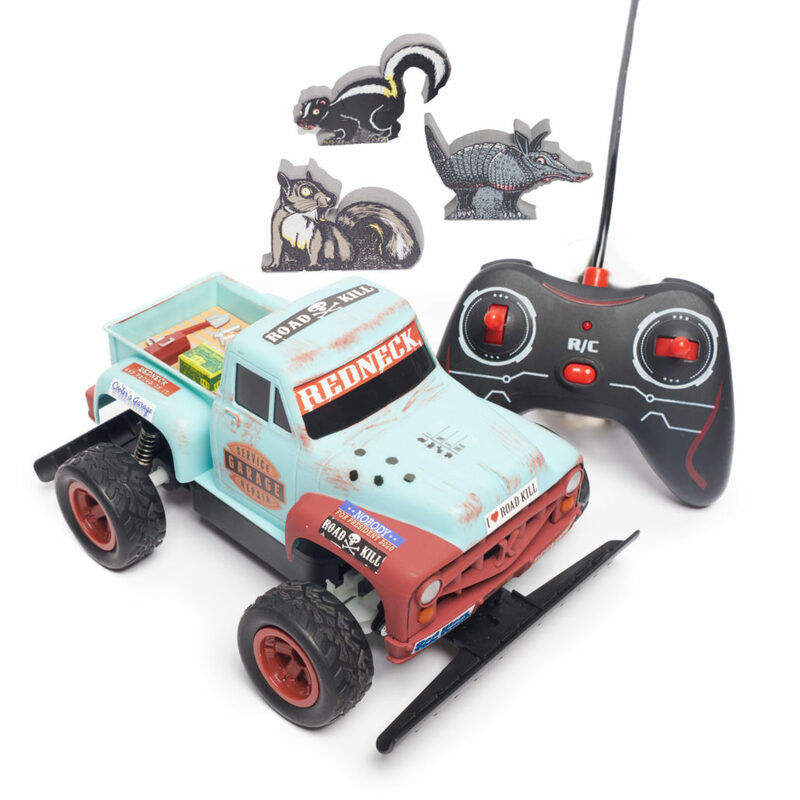 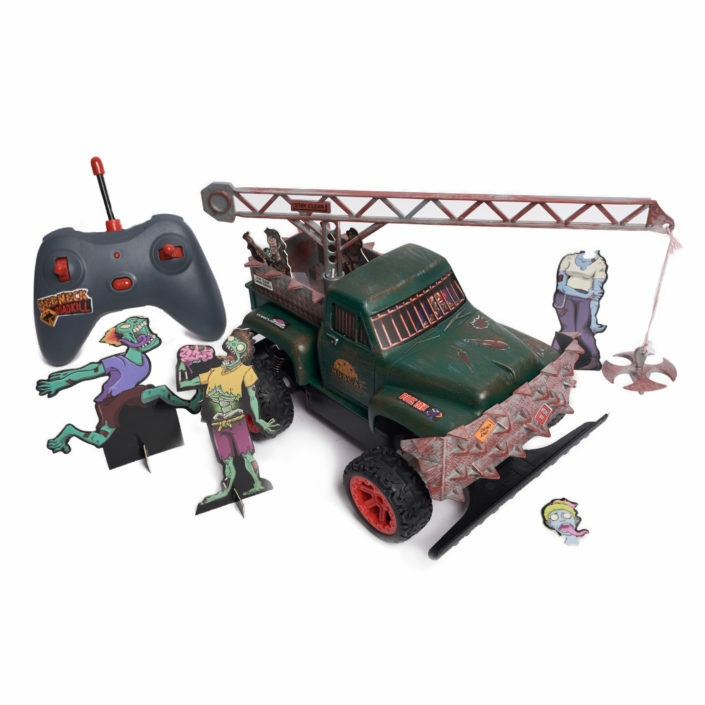 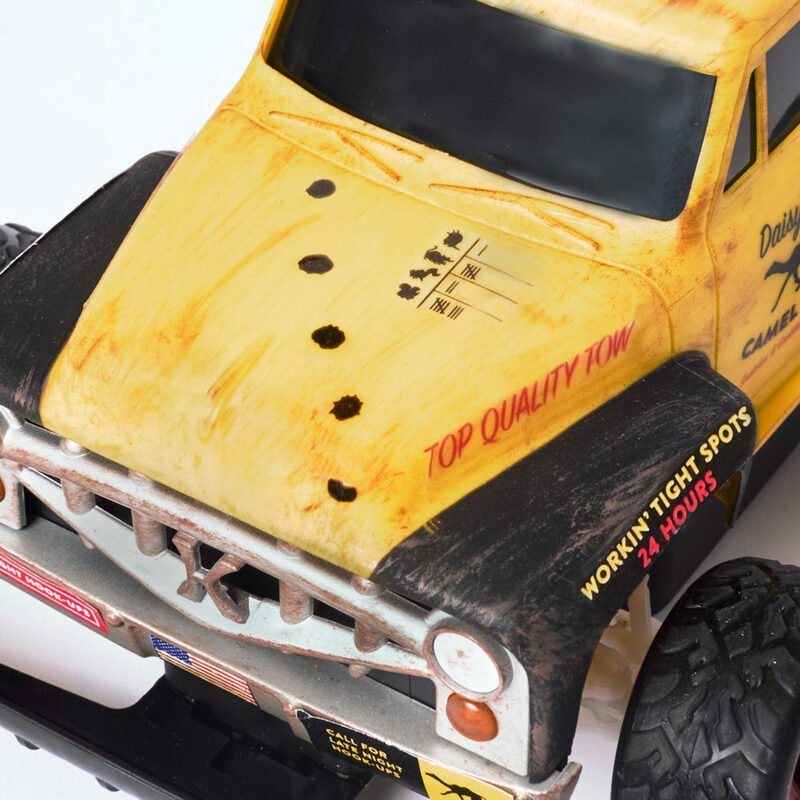 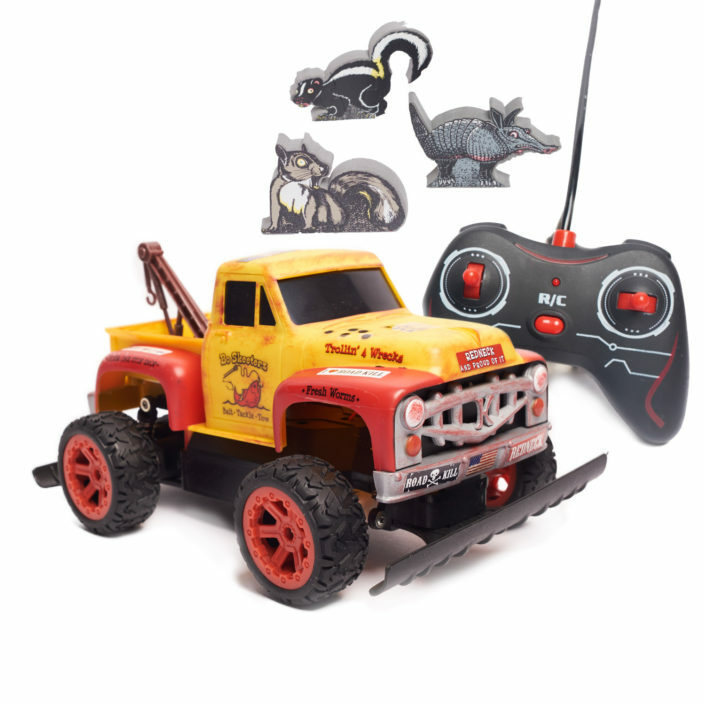 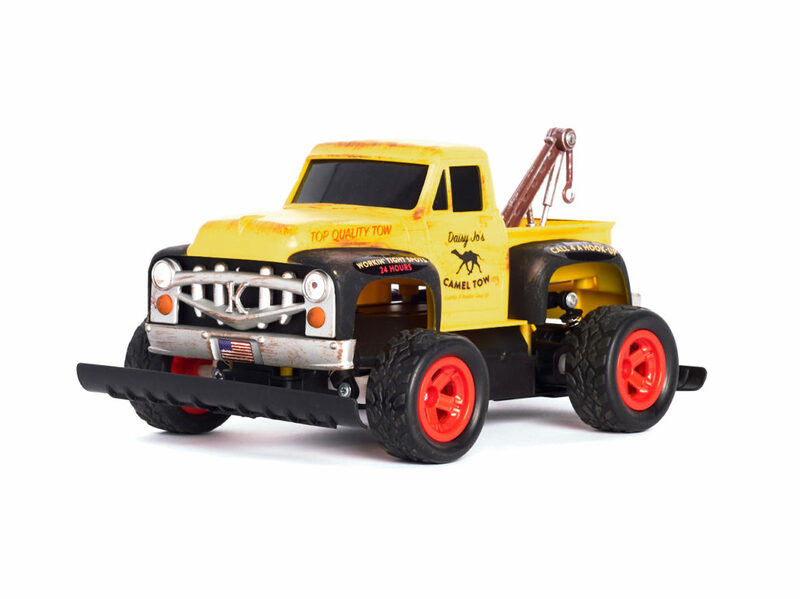 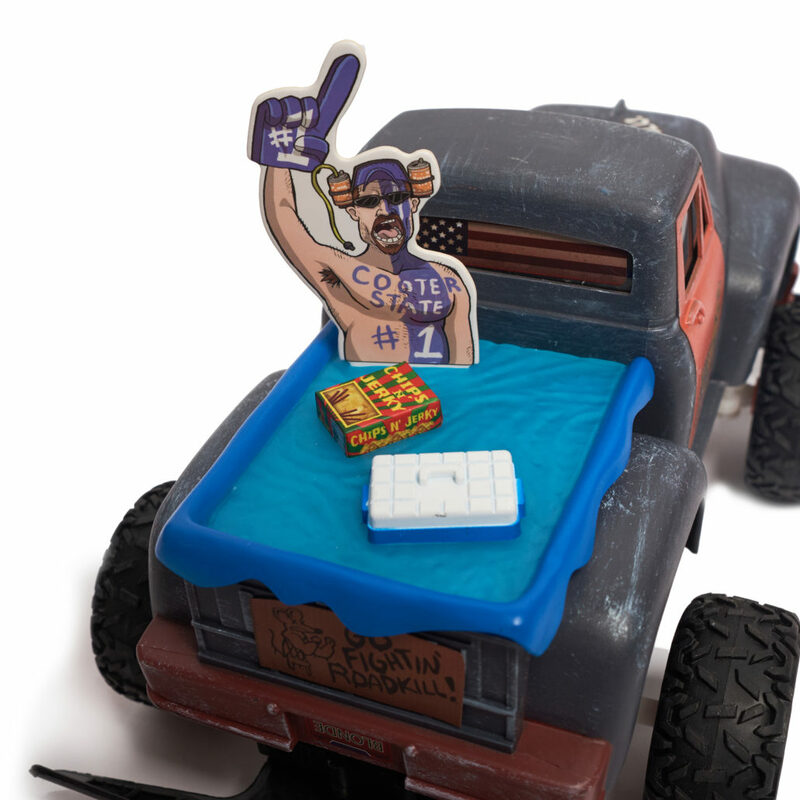 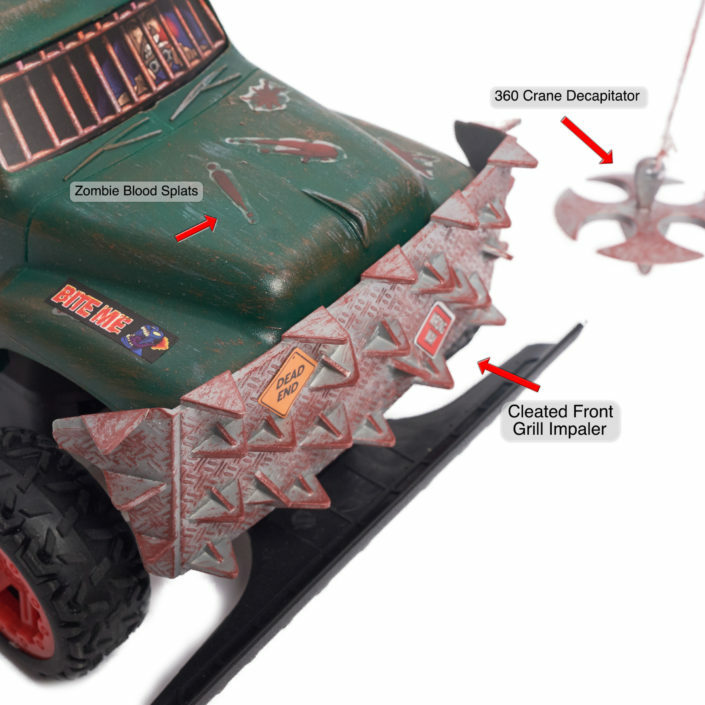 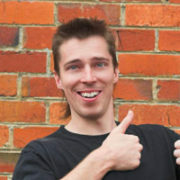 We are talkin’ pedal-to-the-metal, varmint smashin’ RC fun! 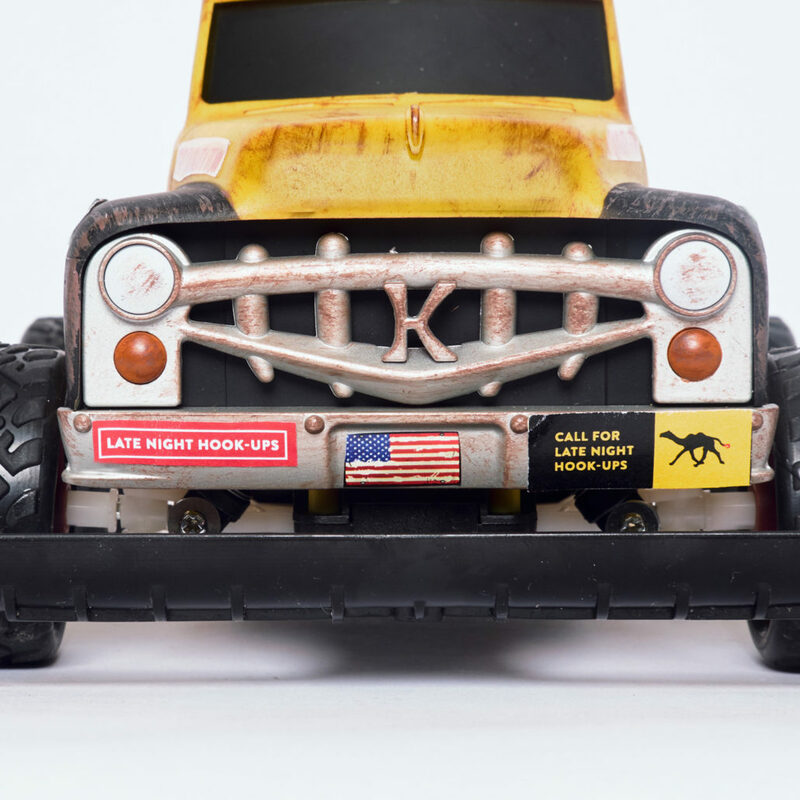 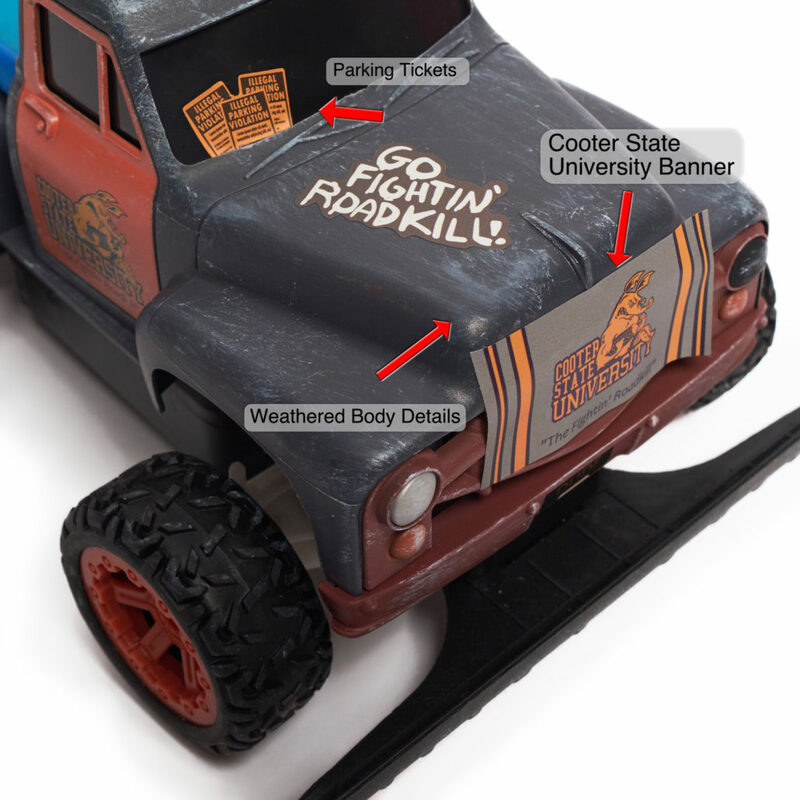 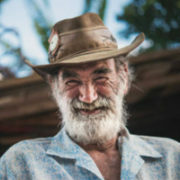 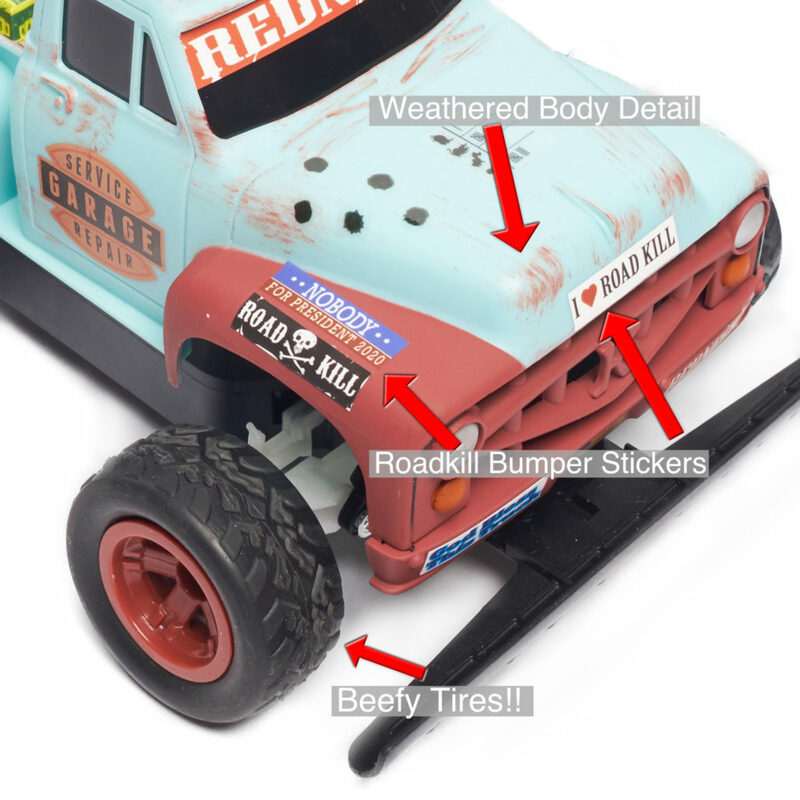 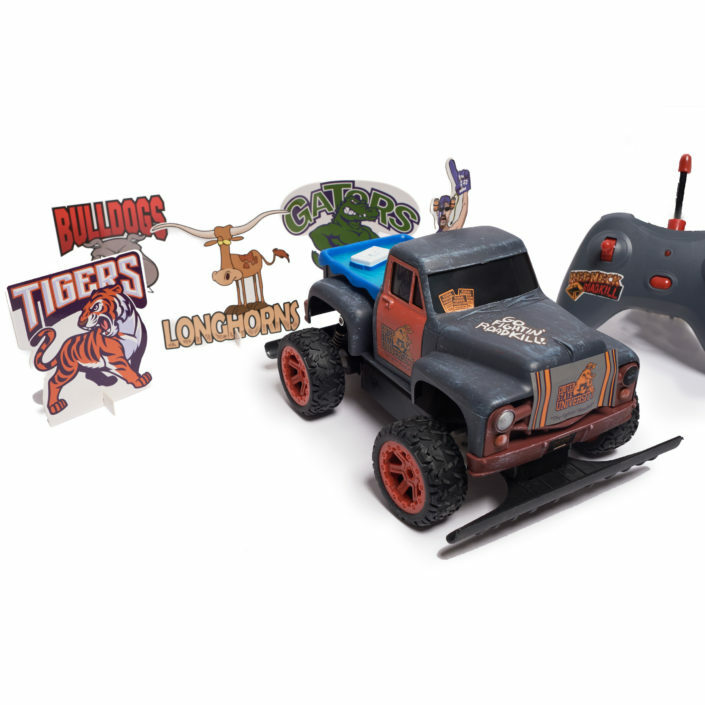 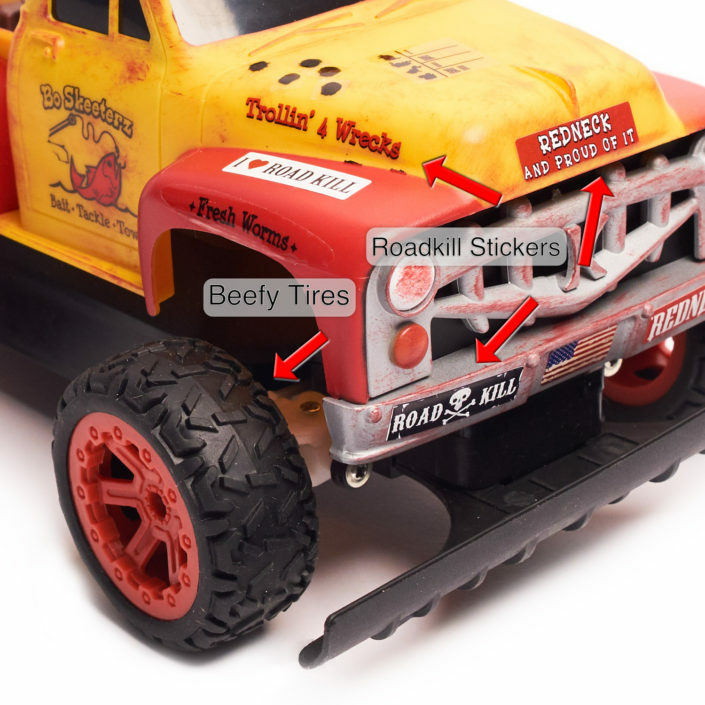 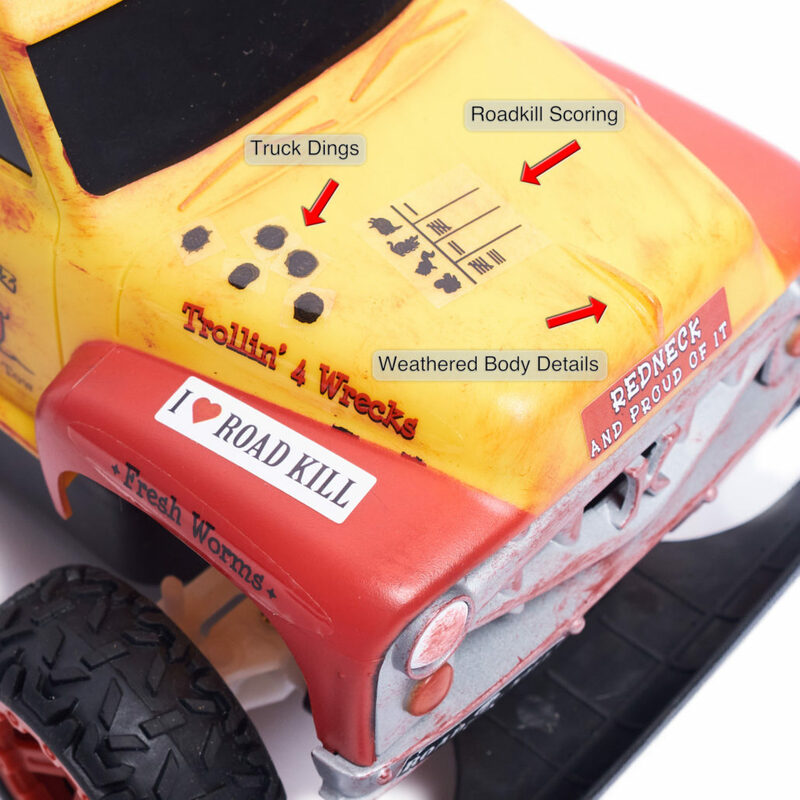 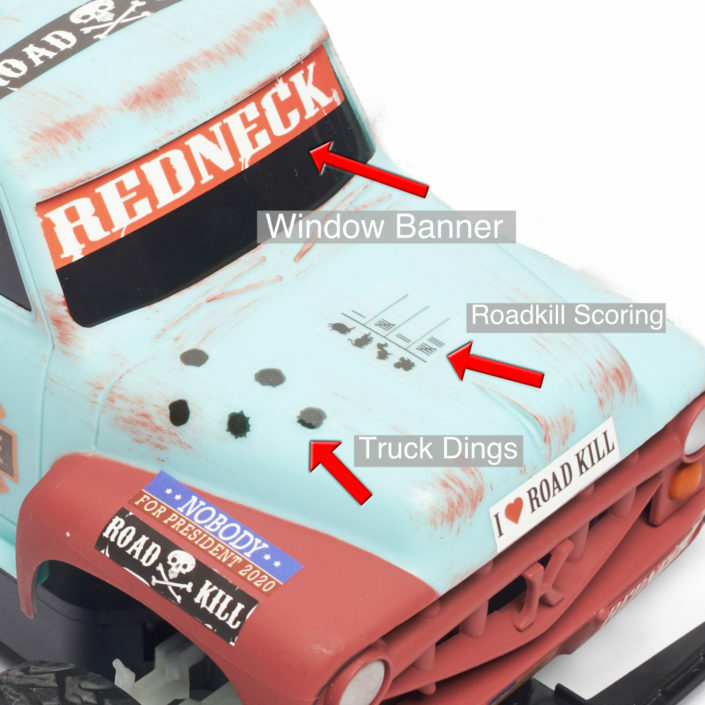 Redneck Roadkill has the looks of authentic beat-up pick up trucks including: rusted looking fenders, hand-weathered body paint (no two trucks are the same), license plates, custom grill, beefy off-road tires and independent working suspension. 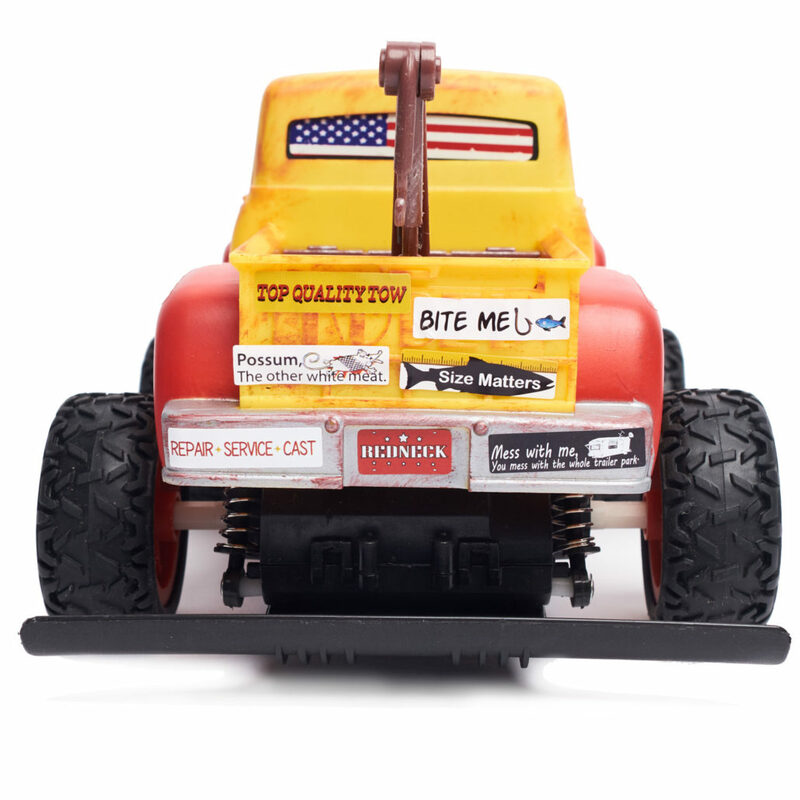 Spec out your own with redneck bumper stickers! Race the clock! 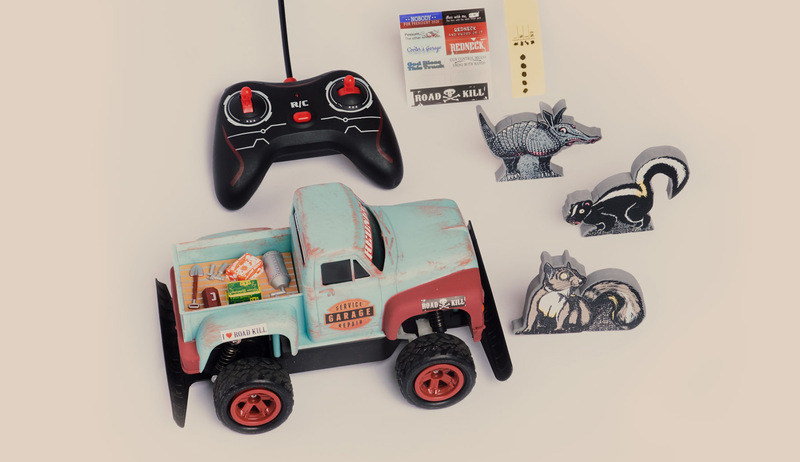 Race yer buddies! 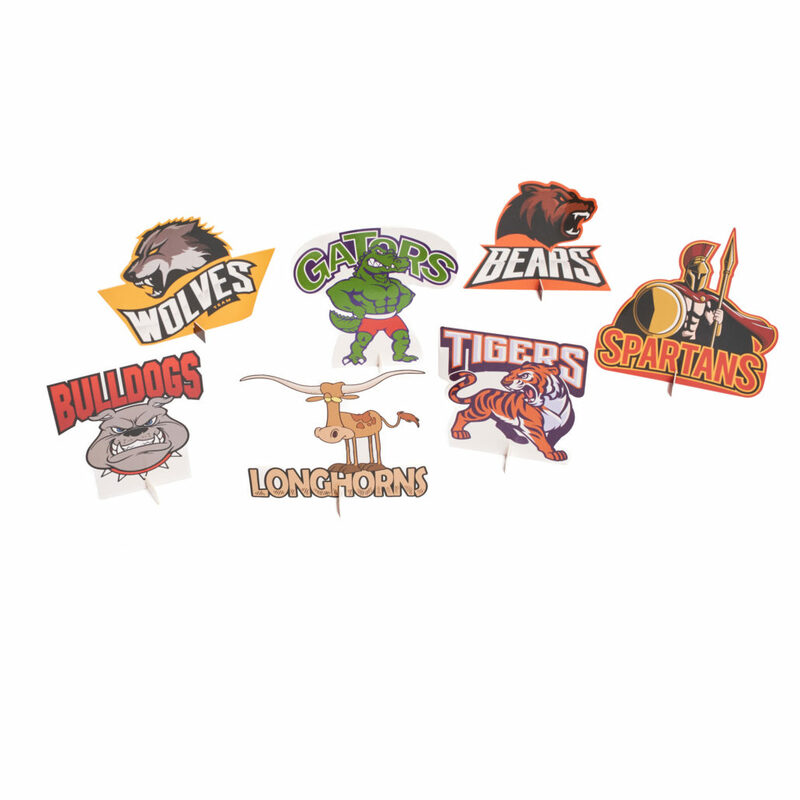 Squash the squirrel, (I hate those little critters–tasty tho), waste the skunk and maul the armadillo! 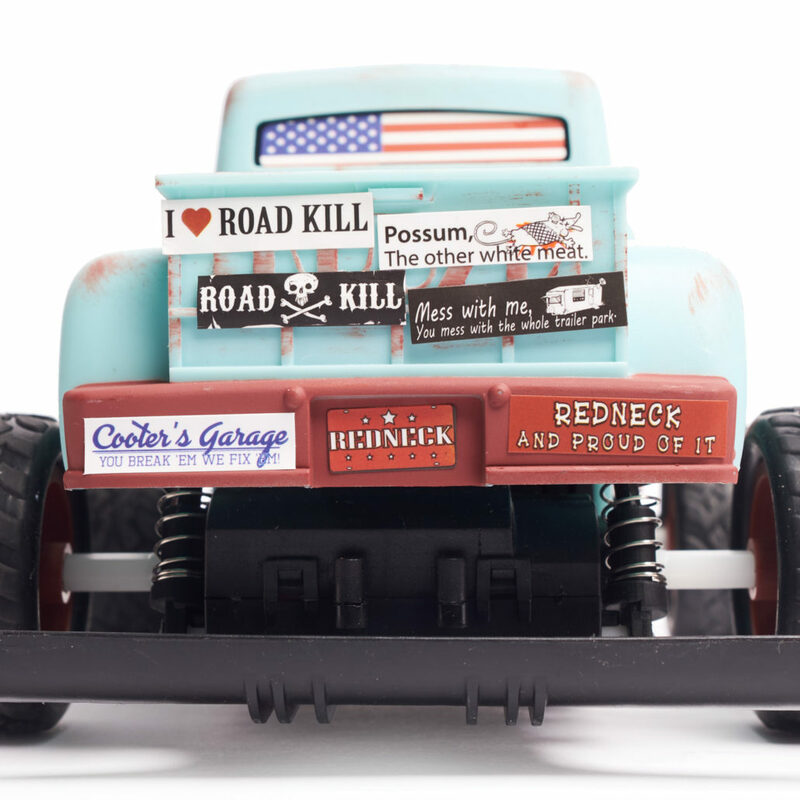 She’s no Butte and she ain’t lightnin’ fast, but she’ll get er dun on smashin’ varmints. 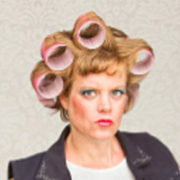 Everbuddy luvs stickers, so you’ll get extras for customizin’ your ride. 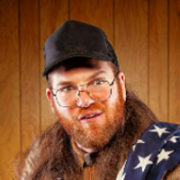 Cain’t hit no varmints without a way to steer, now could ya? 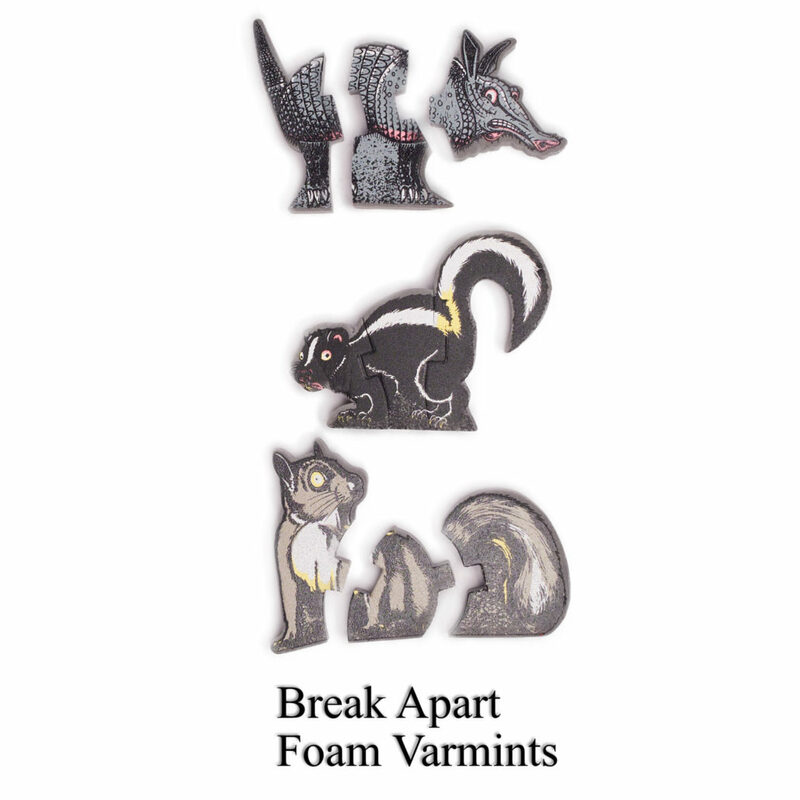 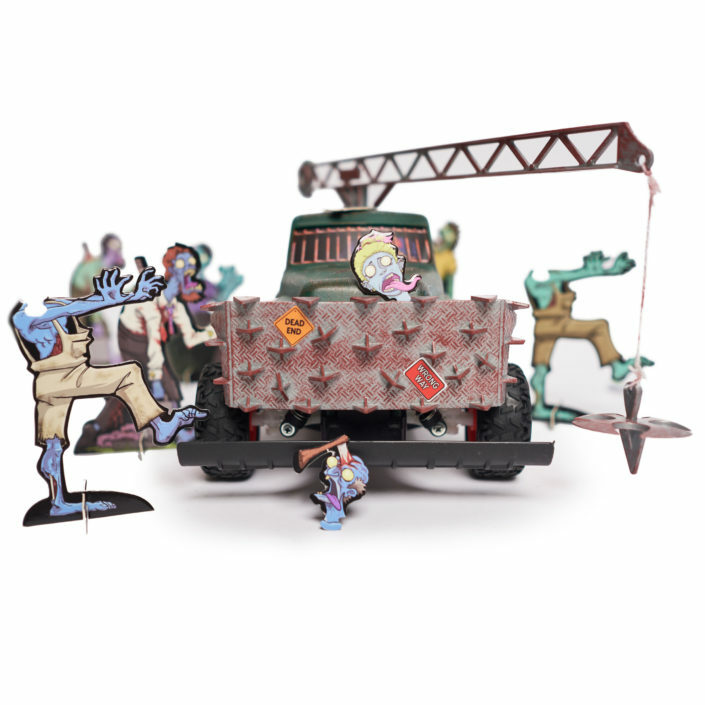 Break apart soft foam varmints…brave enough to play chicken with any redneck truck.